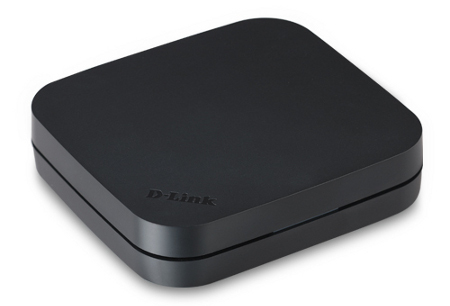 When it comes to networking peripherals, D-Link is another name that can be trusted, although most of the time, we would think that this is placed one notch below Cisco’s Linksys brand. Having said that, I have used D-Link devices for a fair number of years now, and the wireless router has lasted me until recently, being a decent and faithful servant, it finally gave up the ghost. Well, today we are not going to talk about wireless routers or modem routers, but instead, will concentrate on D-Link’s latest release, the DSM-310 MovieNite streaming media player. This is the latest device in D-Link’s entertainment product line, where the MovieNite streaming media player is said to be able to deliver instant access to an unlimited amount of 1080p HD movies and TV shows, in addition to personalized Internet radio directly to any TV without breaking the bank. It is a snap to set up, and when it comes to using it, easier still. MovieNite will offer a range of home entertainment content that can be accessed with but a single click of the remote control, where among the choices available to you include VUDU, Netflix, YouTube, Pandora, and Picasa. Oh yeah, did we also mention that you can view mydlink-enabled network cameras as well? Walmart carries this $59.99 MovieNite streaming media player as an exclusive, so you will not be able to find it on shelves of stores elsewhere. Thanks to the integrated wireless and Ethernet connectivity, it is a snap to connect to a home network, while HDMI output is there to enable you to stream HD movies up to 1080p, with composite audio/video connections capable of breathing new life into any analog TV, transforming them into Smart TVs instead. Last but not least, the free MovieNite remote app will be available for iPhone and Android-powered devices, turning your smartphone into a remote control. Will this appliance also stream Amazon Prime? can i stream movies wirelessly from my pc?